Supriya Devi had to struggle a lot before getting her big break in the 1952 multi-starrer Basu Paribar. In the opening frame of Ritwik Ghatak’s seminal Bengali film, Meghe Dhaka Tara (1960), Neeta (Supriya Devi), the protagonist, grows from a speck in the horizon to a diminutive figure in a saree. A jhola slung on her shoulder, a neat plait trailing her, Neeta negotiates the potholed roads of the refugee colony she lives in. Suddenly, the strap of her kolhapuri slipper comes off. She picks it up, considers it for a second and walks on. Neeta, the refugee girl, who supports her entire family, doesn’t have the luxury to do anything else. 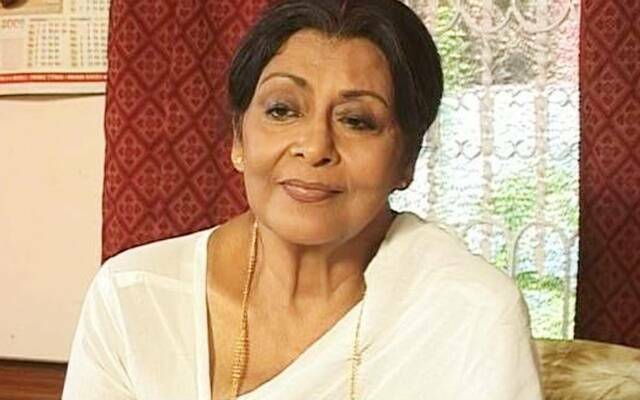 Neither did Supriya Devi, one of Bengal’s most celebrated icons, who passed away in her south Kolkata residence early morning on Friday. She was a recipient of the Padma Shri and the Banga Vibhushan, West Bengal’s highest civilian award. It was not for nothing that Ghatak chose this statuesque actor to play the role of the ever-suffering, stoic Neeta. Neeta, who went on to become of the most celebrated female protagonists of Indian cinema. Devi, born in the small Burmese town of Myitkyina in Myanmar (then Burma), had similar antecedents as her most famous onscreen role. Like Neeta, she too knew what it takes to be a refugee in an alien land. When they arrived in Kolkata in the later part of the ’40s, Devi’s family had literally nothing. They apparently did most of the 2,000 km journey on foot. Eventually, Devi had to struggle a lot before getting her big break in the 1952 multi-starrer, Basu Paribar. But unlike Neeta, Devi was not a passive recipient of the cruelties of life. Bengal and its women owed a lot to Devi, the woman, who never shied away from living her life on her own terms. Much through the ’60s and ’70s, her relationship with the much-married Uttam Kumar was the fodder for the rumour mills. 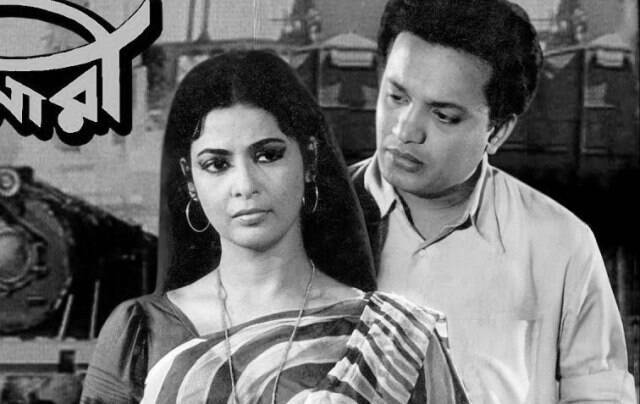 Devi, who was also married then, brazenly admitted to being involved with Bengal’s most-celebrated matinee idol, much to the chagrin of the flagbearers of middle-class Bengali morality. Her disregard for the public opinion on her relationship was a subversive assertion of agency. At no point of time was Devi being played by the man in her life, at no point of time was she the scheming conspirator. Through interviews and newspaper columns, Devi established one thing very clearly — she was in complete control of her life. Which is probably why she refused to be tagged as the other woman. She wanted the recognition of being the partner of the man she loved, and if society refused to give her that status, she couldn’t care less. She chose to opt out of her first marriage with Bishwanath Choudhury when she moved in with Uttam Kumar and later, according to interviews given to various Bengali magazines, she arranged for an alliance for Bishwanath herself. Meanwhile, like her famous contemporary Suchitra Sen, Devi was breaking the glass ceiling for Indian actresses. She played an array of sexually-liberated, assertive characters in the ’50s and ’60s when Bollywood heroines were still playing virginal prototypes. In Lal Pathar (1964) she plays a Bengali widow who chooses to become a zamindar’s consort, only to be consumed by jealousy when the zamindar brings a new bride. Devi brings a sense of resilience and tenderness to what could easily have been a one-note character. In Bilambita Loy (1970), she plays a successful singer who chooses to give up her alcoholic husband and is not guilt-ridden by it. Even in the scenes where she meets her husband after abandoning him, Devi ensures that her character is not shown regretting her decision. Instead, she shows pity to the man she loves. Her stint with Bollywood was a very short lived. She acted in a couple of films with Dharmendra, including the very forgettable Aap Ki Parchhaiyan (1964), but soon gave up on a Bollywood career. Her reasons for doing so were probably similar to that of Suchitra Sen. Bollywood simply didn’t have enough challenging roles for her. In a talk show hosted by the late Rituparno Ghosh, Devi revealed why she said no to a big Bollywood film that came to her in the 1960s. “These producers came to my place and offered me an advance. They also said that I will have to diet for the role as the character was that of a dancer. I offered them lunch and politely declined the offer. Durga Puja was just around the corner as was the hilsa season. I could not possibly diet during this season,” she said. One can’t remember exactly how it happened, but some time in the late ’60s, Devi earned the sobriquet of “Sophia Loren of Bengal”. It was probably because of her striking resemblance to the Italian diva but Devi celebrated that nickname with boat-lined blouses, chokers and the elaborate eye make-up. In fact, the burlesque phase contributed to Supriya Devi’s queer following decades later when her films were readily available online. In the late ’90s, after the advent of satellite television, Devi reinvented herself as a television star by playing the lead in the iconic Doordarshan daily, Janani, where she played an ageing matriarch who chooses to stay away from her family. The serial was adapted into a number of Indian languages too. She also hosted the iconic cookery show, Benudir Rannaghor, where she shared secret recipes from her cookbook with the audience. Each episode was accompanied with an anecdote relating to her memories of Uttam Kumar. Needless to say, the celebrity-starved Bengali audience gobbled it all up. In 2006, when celebrated filmmaker Mira Nair cast her for a small role in The Namesake, she mentioned how honoured she was to have Ghatak’s Neeta in her film. Goodbye Supriya Devi, you are not cloud-capped anymore. 1 LOOSE LIPS: Guess which actor is envious of this young actor?